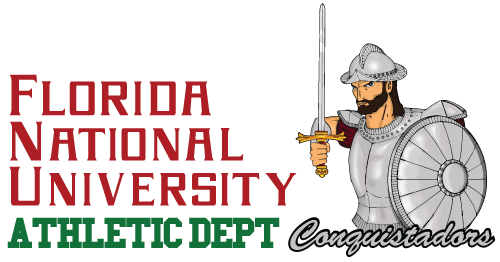 If you are interested in getting a college degree, have a strong passion for basketball, and don’t mind living in sunny tropical weather, then you might want to seriously consider trying out for the Florida National University (FNU) Conquistadors’ basketball team. The entire FNU athletic department is part of the United States Collegiate Athletic Association (USCAA). The USCAA is a membership-driven organization that provides small to mid-sized colleges and universities the opportunity to compete in athletic college programs on a national level. In addition to basketball, this organization recognizes a variety of sports like volleyball, softball and more. It recognizes student athletes by tracking the statistics of their performance and highlighting players of the week. As a national organization, this also puts student athletics on an even playing field alongside other collegiate athletic institutions for post-season competition. FNU is proud to be associated with such a respected organization. The USCAA organizes first-class events granting All-Tournament and All-American awards. The All American awards are recognized by 1st Team, 2nd Team, and Honorable Mention. According to the USCAA, an average of 70% of its members compete in at least one national championship every year. The National Basketball l Championships is broadcasted on ESPN’s 104.1 FM Radio and throughout the USCAA networking organization. As a result, it is USCAA’s largest tournament in the United States. The FNU Men’s Conquistador Basketball Team has made it to three consecutive championship tournaments from 2015 to 2017 finishing the 2014 season 20-11, and 19-11 in 2015-2016. As one of the top USCAA Men’s Basketball D1 programs in Florida, our athletic department is committed to supporting the overall mission of providing a healthy athletic structure that builds on the life skills of discipline, leadership, integrity, and social responsibility. We believe that the camaraderie FNU’s Men’s Basketball team offers contributes to elevating ethnic and cultural diversity not only in our athletic division but also throughout our entire university and even our community within the South Florida area. The South Florida area is richly diverse with a fusion of Latin American, Cuban, Caribbean, Native American, Asian cultures and more creating an ethnically mosaic population that FNU assures equal opportunity to. During the 2016-17 season, three of FNU’s men’s basketball players, Josh Brown, Antoni Sims, and Jermohn Queen were officially recognized by the USCAA organization. Brown was selected to participate in the USCAA All-Academic Team. Sims and Queen were chosen for USCAA All-Americans 2nd Team. What Does FNU Look for in an Athlete? FNU’s Men’s Basketball team is comprised of many exceptional players like Brown, Sims, and Queen. When the times comes to recruit new players, we look for talent, but we also look at students’ transcripts to determine if their overall GPA meets the criteria our athletic department requires. FNU prides itself on having an impressive athletic roster, but we equally take each of our athletes’ academic performance into consideration. Our athletic department aids our student athletes to thrive throughout their academic career. If our athletes aren’t performing up to required academic standards, then certain actions will take place so that they can succeed inside the classroom, out on the court, and in their professional career. As a regionally accredited university, our goal is excellence. When our men’s basketball team is out on the court, whether it’s at home or out on the road, they represent FNU, demonstrating our university and athletic department’s overall mission. It’s imperative that this shows in how they conduct themselves as professional athletes on and off the court, whether they’re in the classroom or off campus. FNU Men’s Basketball staff is led by James “JJ” Thatcher, Justin Cordoza, and James Vice. Thatcher is serving his fourth season at FNU. As Head Coach and looking forward to leading the men’s basketball team to another national championship tournament in the 2017-18 season. Cordoza, is approaching his second year as the Assistant Men’s Basketball Coach. Graduate Assistant Vice is approaching his second year. FNU applauds these three gentlemen for the hard work, dedication, commitment, and mentorship that comes with coaching young talent along with the late hours and weekends that they have sacrificed in order to achieve three consecutive national championships. It’s a job that has ultimately provides more recognition to our esteemed university, giving FNU Conquistadors something to be proud of as students, athletes, faculty, administrators, staff, and alums. Where is Florida National University? FNU’s main campus is located in Hialeah, Florida with another campus in Miami along with a Training Center and Online Learning Department. To tour any of our campuses, contact us here. One of the things that can sometimes stop aspiring college students from pursuing a higher education is money. FNU has a Financial Aid Department staff with personnel who specialize in helping students just like you afford a college education. Another great benefit FNU offers that’s perfect for student athletes is Distance Education programs. 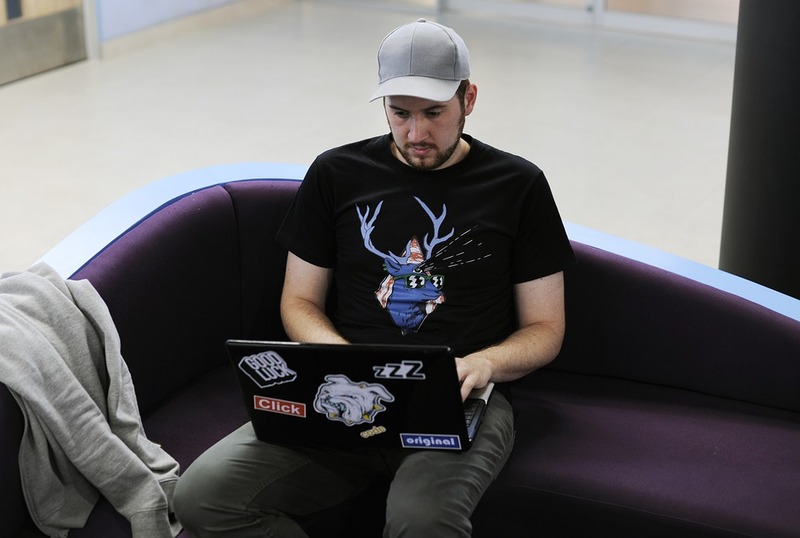 Because student athletes spend a considerable amount of time playing or practicing, the amount of time for academic studying can be challenging. 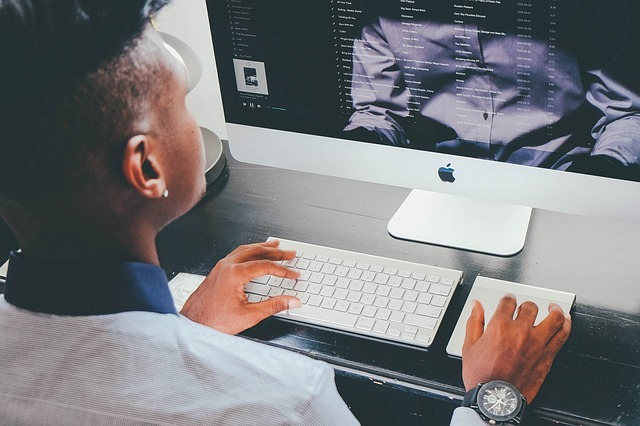 With online courses, student athletes will have more flexibility to schedule their class time around their athletic responsibilities. If you believe that you can contribute to helping FNU make it to a fourth USCAA national championship, then fill out this application form here. Please bear in mind that this is an application for the FNU Athletic Department. You are still required to complete the academic enrollment process. Once you have completed the online athletic application, contact an FNU advisor for assistance in completing the enrollment process.